The native of Khiv district of the Dagestan Republic, Rasul Muslimov, became a champion of Azerbaijan in MMA in the weight class up to 93 kg. Rasul Mislimov earned a permit to Las Vegas (United States) at the World Cup - reports LezgiSport.com. The Azerbaijan championship in grappling among boys aged 15 to 17 started in Baku on April 3 which was attended by our sportsman. In the weight category up to 63 kg Magommed Askerov won the gold medal and became the champion of the Azerbaijan Championship in grappling. 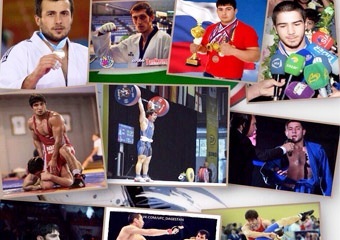 From 2 to 3 April Baku hosted Azerbaijan championship in MMA, which was attended by our athletes - reports LezgiSport.com. Marat Safarov performed in the weight category up to 72 kg, he defeated all rivals and became the champion of Azerbaijan in MMA.